Alpha Phi Omega is a national coeducational service fraternity founded on the cardinal principles of leadership, friendship and service. It provides its members the opportunity to develop leadership skills as they provide service to their campus, to youth and the community, to the nation, and to members of the Fraternity. The basis of the Fraternity�s brotherhood comes from a foundation of shared beliefs, experiences, and an understanding of our fraternal history and goals. Alpha Phi Omega National Service Fraternity has more than 17,000 male and female student members at 358 college campuses nationwide. Its mission is to prepare campus and community leaders through service. Its purpose is to develop leadership, to promote friendship and to provide service to humanity. Founded at Lafayette College in Easton, Pennsylvania in 1925, it is a 501(c)(3) not-for-profit organization headquartered in Independence, Missouri. 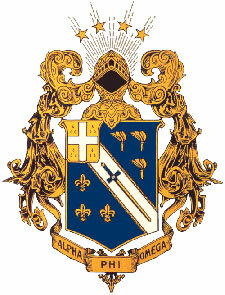 More than 350,000 members have joined Alpha Phi Omega since its founding.